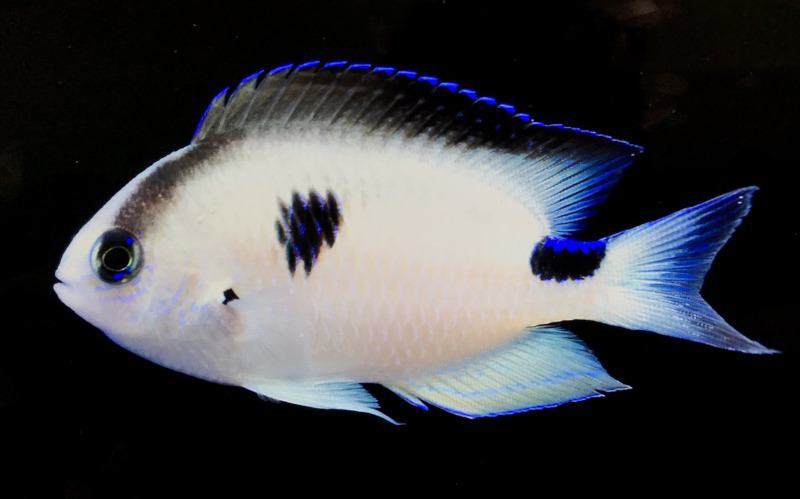 Madagascar Damselfish, do you remember the new species of Chrysiptera Damselfish from Blue Ocean SARL earlier this January? The new species is now live at LiveAquaria for $299.99 now that like Rs. 21299/- in our currency. This fish looks amazing with the black spot on the tail and side. Black strip from the eye to the dorsal fin and the ting of blue on the patches. The fish is yet to be formally described which should be out in a week’s time. Chrysiptera sp. is now available for buying online at the Divers-Den section. Which is what-you-see-is-what-you-get – the EXACT item you are ordering and not a representative photo. According to the site stats are easy care level. Yes it is reef compatible, minimum tank size is 115 liters. Diet is omnivores and the fish is semi-aggressive in nature. Size of this paticular fish is 2-1/8″ and can grow up to 3.5 inches. So, for US readers and reef keepers this fish available now for home aquarium on LiveAquaria.